CPA, Solo Ads and Affiliate Marketing – Which Do I Choose? I’ve looked at some of the courses touted by the Internet Marketing “gurus” and it’s really tough to narrow down a starting point on a path to profitability. Some of the results, case studies, etc. 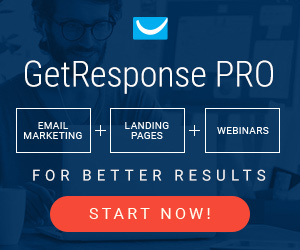 look tantalizing, but I have to admit to getting a “red alert” in the back of my neck as I consider delving into CPA (cost per action) or Solo Ads (basically paying someone to promote your offer to their mailing list subscribers). With CPA’s I’m a bit concerned about the spammy nature of the beast and losing the trust of my e-mail subscribers and new customers alike. Do I really want to setup a Facebook ad campaign to drive clicks to an offer to fill out a survey to win a free iPhone, etc.? These kind of promotions have been done ad nauseum and I think people are now savvy enough to pass on such things. Also, even though I am a member of MaxBounty and other CPA programs, there are restrictions on how you market these offers. A lot of them do not allow email or social media promotion so you must rely upon your website traffic. Unless you’ve got tons of visitors to your website every day, that just doesn’t look feasible. I have also read up on solo ads but have a nagging concern about those at well. If you’re paying someone to send out your offer to their mailing list, what guarantee is there that you’re getting any value from what you’re paying for? Low or no conversions could be vaguely explained away as lack of interest in the offer, etc. It just seems to risky for me to jump into. That leaves the third option that I am considering, which is affiliate marketing. I have had accounts with Shareasale and Commission Junction for years. Both are gathering dust and while it’s doubtful that I’ll get rich overnight, I think it’s worth the effort to utilize these programs. You basically get paid a commission when something you advertise sells. I am already contemplating niche sites, reviews and other more down to earth, white hat methods to get this in gear. I am already doing modestly ok with Google AdSense so this does seem to be a logical progression. Let me know what you think. I’m curious to know what others have had for experiences with CPA, solo ads and affiliate marketing campaigns.